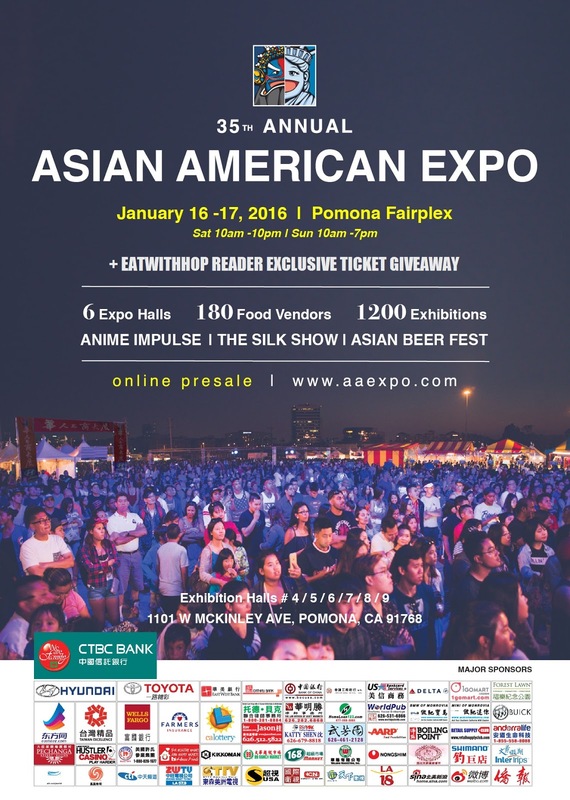 CELEBRATE THE YEAR OF THE MONKEY AT ASIAN AMERICAN EXPO + TICKET GIVEAWAY - POMONA FAIRFLEX - EAT WITH HOP! GET READY FOR THE BIGGEST ASIAN THEMED EVENT IN THE NATION! Happy 2016 y'all. I hope the new year has been great so far for everyone! I for one am not loving this rain we are having in Orange County right now but I'm glad we have it because this drought needs it! I hope this new year y'all will be able to achieve all of your resolutions and be able to devour more and more delicious food than last year. 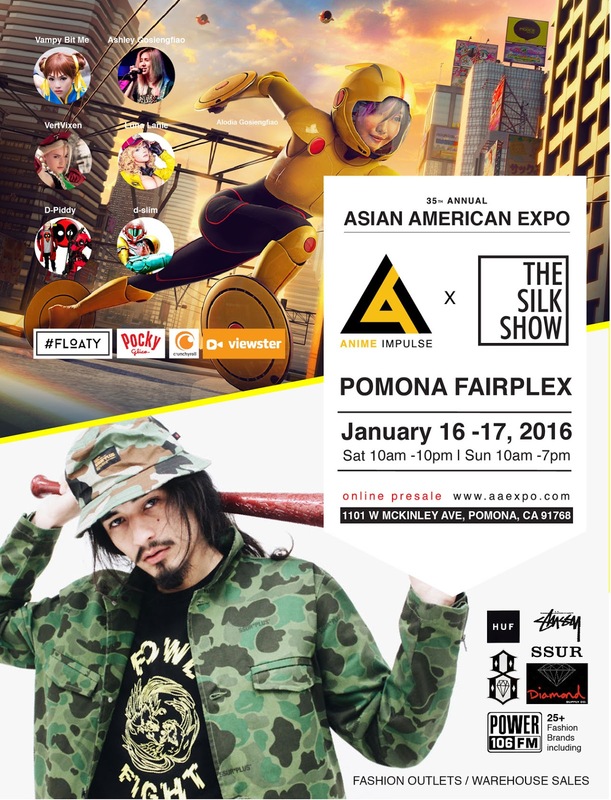 The largest Asian themed event in the entire United States is back at it again with an even bigger and better event to help you get your party on at the Pomona Fairflex this January 16 & 17! This year, the 35th Annual Asian American Expo will have over 1,200 vendor booths in six huge exhibition halls, 3 unique food courts featuring over 190 food vendors and seven performance stages that will have non-stop shows! The performance stages will have diverse groups of performers and entertainers ranging from celebrity singers, dancers, Chinese Acrobatics, Japanese Taiko, traditional dances from Thai and Korean culture, a fashion show, traditional Lion and Dragon dances and just so so much more y'all don't wanna miss! 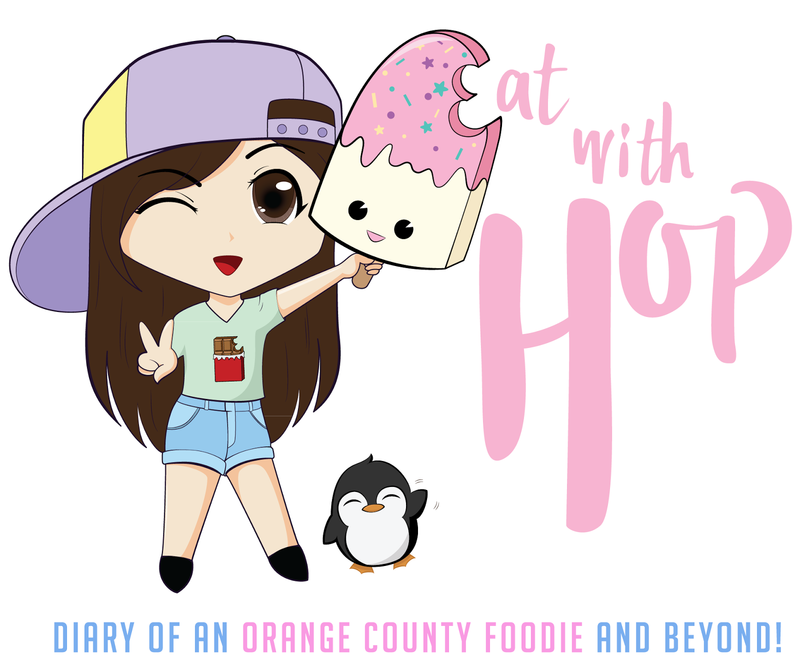 There's an Eating Competition too?! Whaaat?! Who's down for this because I think can b"eat" everyone at eating...! The event will host an eating competition that tests devouring skills of many to see who can eat the most in a set amount of time. Of course, there will be prizes! 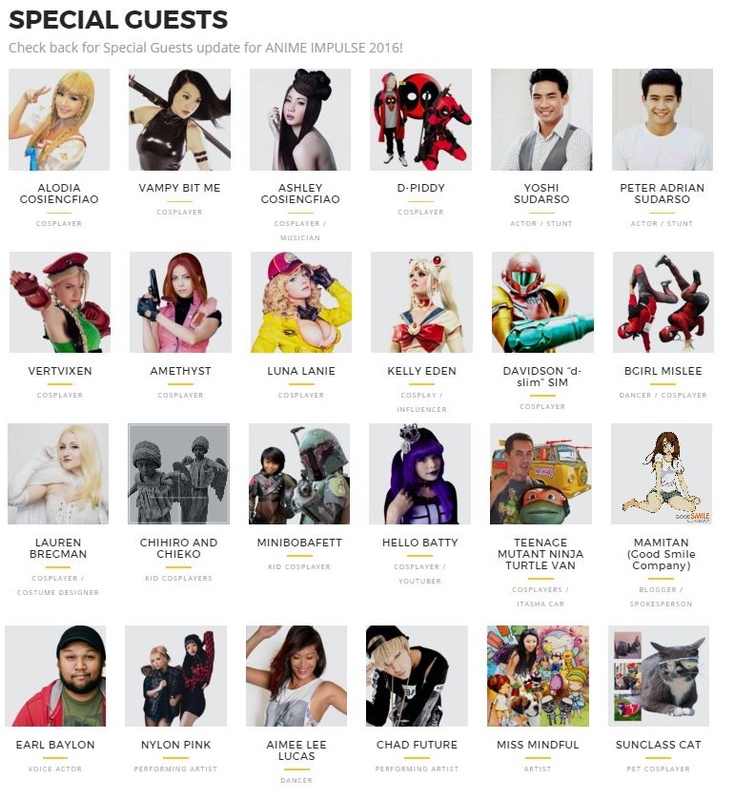 I am super pumped for the 3 newly added components to this amazing festival: Anime IMPULSE, SILK Fashion Outlet, and Asian Beer Fest! →The SILK Fashion Outlet is gonna be giving you all the awesome discounts on famous streetwear brands such as HUF and STUSSY. Stussy is a personal fave of mine too! →Asian Beer Fest will be featuring alcohol from Tsingtao to Sapporo and other diverse beers! Looks fun. Would love to win the tickets. Thanks!